Thus, it’s vitally important to consume adequate amounts of it in your daily diet. Interestingly, the foods you eat influence not only how much iron you consume, but also how well it is absorbed into your body (1). Once it’s absorbed by your body, it’s used as a building block for hemoglobin, a protein found in red blood cells that helps shuttle oxygen around your body. 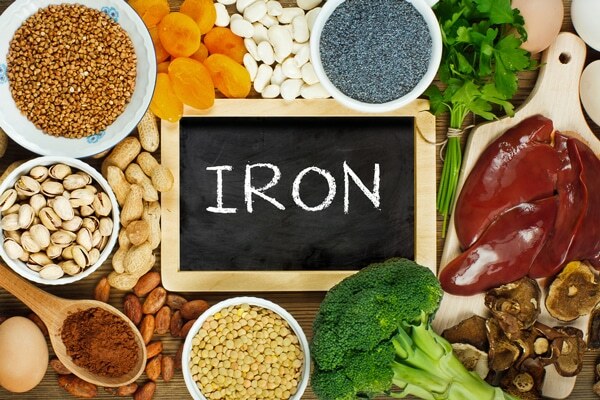 Heme iron is the best form of iron, as up to 40% of it is readily absorbed by your body (3). It’s estimated that 85–90% of total iron intake comes from the non-heme form, while 10–15% comes from the heme form (3, 4). In terms of its bioavailability, non-heme iron is absorbed by your body significantly worse than heme iron. Iron deficiency is the most common cause of anemia, which affects a billion people worldwide (5, 6, 7). Moreover, iron deficiency can result in poorer attention span and mental function. In fact, being deficient during early childhood has been linked to lower IQs (8, 9). Children, adolescents and women of reproductive age, particularly during pregnancy, are most at risk of iron deficiency. This is because their intake doesn’t meet their body’s high demand for it (1). Additionally, it’s commonly thought that vegetarians and vegans are more prone to iron deficiency. But, interestingly, studies have shown that vegetarian and vegan diets contain just as much iron, if not more, than diets containing meat (10, 11, 12). It’s generally recommended that vegetarians multiply their recommended iron intake by 1.8 times to compensate for the reduced absorption (12). While not all dietary iron is absorbed equally, some foods can enhance your body’s ability to absorb it. 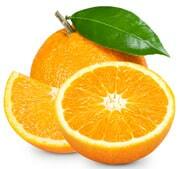 Vitamin C has been shown to enhance iron absorption. It captures non-heme iron and stores it in a form that’s more easily absorbed by your body (3). In one study, taking 100 mg of vitamin C with a meal increased iron absorption by 67% (13). Hence, drinking citrus juice or eating other foods rich in vitamin C while you’re eating high-iron foods can increase your body’s absorption. In vegetarian and vegan diets, iron absorption may be optimized by including vitamin C-containing vegetables during meals (1). One study of 100 people given cereal-based meals found that the presence of vitamin A increased iron absorption by up to 200% for rice, 80% for wheat and 140% for corn (14). In the same study, adding beta-carotene to the meals increased absorption more than 300% for rice and 180% for wheat and corn (14). Several studies have reported that the addition of beef, chicken or fish to a cereal-based meal resulted in about 2–3 times greater non-heme iron absorption (4, 15). 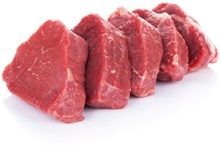 Research has also shown that adding 75 grams of meat to a meal increased the absorption of non-heme iron by about 2.5 times, compared to a meal without it (4). 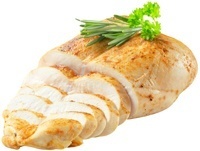 Based on study findings, it was estimated that 1 gram of meat, fish or poultry provided an enhancing effect similar to that of 1 mg of vitamin C (4). Phytate, or phytic acid, is found in foods like whole grains, cereals, soy, nuts and legumes (3). Even a small amount of phytate can significantly decrease iron absorption (1, 3). In one study, as little as 2 mg of phytate in foods inhibited iron absorption by 18% when added to wheat rolls. And when 250 mg of phytate was eaten, up to 82% was not absorbed (4). However, some evidence shows that it hinders iron absorption, regardless of whether the source is a dairy product or calcium supplement (16). Studies have shown that 165 mg of calcium from milk, cheese or a supplement reduced iron absorption by around 50–60% (4, 17). However, most studies were short-term and conducted in single meals. A thorough review of long-term studies found that calcium and milk products did not have any adverse effects on absorption (16). Coffee and tea, both of which are widely consumed around meals, have a high content of polyphenols, and they have been shown to inhibit the absorption of non-heme iron (13). 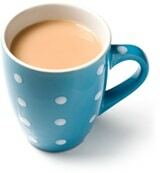 However, when participants drank tea between meals, the reduction in absorption was only about 20% (4). Nevertheless, one report showed that deadly overdoses were possible with excessive intakes of iron supplements (18). Excessive iron levels can also occur in some people with a condition called hemochromatosis. This is usually caused by a gene that enhances absorption (19). Consequently, it may lead to diabetes, heart disease and liver damage (20, 21). Choose foods rich in non-heme iron: If you don’t eat meat and fish, include plenty of iron-rich plant foods in your diet. Iron is a vital mineral that’s essential for the function of your body. Two types of it are found in food — heme and non-heme. Non-heme iron is mainly found in plant foods, but this form is harder for your body to absorb. You can improve your body’s absorption by eating foods containing vitamin C, vitamin A, meat, fish and poultry during your meals. By carefully selecting the foods you eat and knowing how certain foods can enhance or inhibit absorption, you can make sure you’re getting the iron you need.